No. 4 (Maharashtra) Naval Unit NCC, Nagpur has been training cadets in Ship Modeling, Boat Pulling, Swimming, Parade, Enterprise Sailing, Firing, Disaster Management and Service subjects. Students joining will have opportunities to attend various National level camps and adventure activities like trekking, mountaineering, enterprise sailing expedition, Scuba Diving as well as participate in variety of community development and social activities. The cadets successfully completing NCC ‘C’ Certificate have reserved vacancies in Army, Navy and Air Force recruitment as Officers. Eligibility: The enrolment is open to all students of Junior and Senior Colleges affiliated to Nagpur University. Interested students may contact at 4 (Mah) Naval Unit NMCC, 130, Vali Manzil, Rajnagar, Chhaoni, Nagpur – 13 or on Telephone – 0712-2591075, Mobile No. 8625981764 / 9594140029 between 1030 am to 0430 pm on working days. 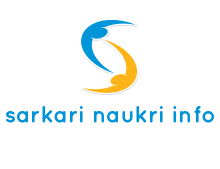 The enrolment for first year of Senior Division (Boys) and Senior Wings (Girls) of Naval NCC will commence from 02 Jun 2012 in the unit office located near MOIL Bhawan, Durga Mata Mandir, Sadar Chhaoni. All the students are required to assemble in unit on 02 Jun 2012 at 0700 hrs for physical test and thereafter enrollment.